When you notice that a tooth has been knocked out , the first thing you should do is try to find it. Once you do, you should be extra careful—pick the tooth up by the crown, and avoid touching the root. The root of the tooth is much more sensitive and easy to damage than your crown, which is covered in hard enamel. Holding the tooth by the crown, rinse it off with clean water to clear off any dirt or debris that may have latched on when it fell out of your mouth. You will want to see your emergency dentist as soon as you can, but you need to take care of your tooth in the meantime. Some dentists recommend storing your knocked out tooth in a glass of milk, while others suggest storing it in your mouth between your teeth and your cheek. If you are able to without any stress or pain, feel free to try placing the tooth back into its socket. Sometimes the tooth root will reattach this way. Head to your emergency dentist’s office as soon as you can after you lose a tooth. Your dentist will be able to tell if the trauma will have any other implications, as well as whether or not you can salvage your natural tooth. If you can’t, then the 2 of you can discuss treatment options like implant dentistry. 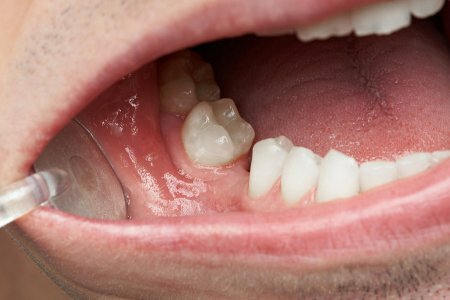 It’s best to deal with your lost tooth right away, so contact Glenwood Premier Dental to see how we can help. If you’re looking for an emergency dentist in Hazlet, we can take care of your dental care needs. Head over to our website or call our offices at (732) 264-4477 to learn more today.